When the internet was fairly new, a project without precedent set itself to push the limits of what seemed then inconceivable for both science and technology. It was called SETI@Home, and it marked the beginning of a completely new era. SETI’s goal was to detect intelligent life outside Earth. To do so, the project collected a huge amount of information using radio telescopes (narrow-bandwidth radio signals from space do not occur naturally, so if found, they provided evidence that we are not alone in the galaxy). Unfortunately, the data was so large that the normal supercomputers specially built for analysing them were simply unable to process it. So how was the problem to be solved? A virtual super machine was created by using a large number of personal computers connected to the internet. 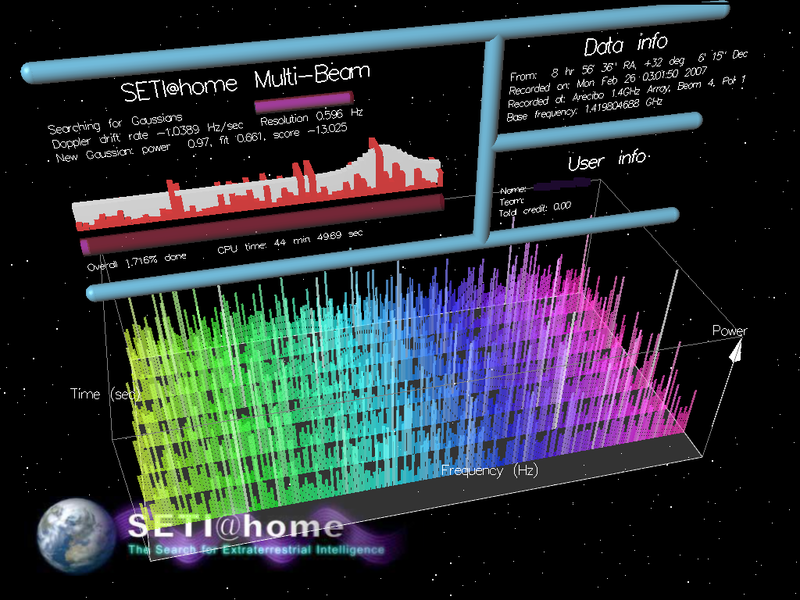 In 1999, SETI@Home was launched. People were able to download a client that run as a background process using idle computer power. After 10 years of collection (in 2009), SETI had listened and analysed 67 percent of the sky observable from Arecibo, about 20% of the full celestial sphere. No intelligent life has been found yet, but the project is still considered a huge success. But this was just the beginning. Many equally fascinating projects emerged in the following years, anxious to tackle some of science’s biggest problems by, and here comes the surprise, playing online games. In 2011, just twelve years after the birth of SETI (a short time for us, a very long one when it comes to technology), the players of FoldIt, a game about folding proteins, resolved the structure of an enzyme that causes an Aids-like disease in monkeys. Scientists had been toying with it for a decade, without success. It only took gamers 3 weeks to come up with the solution. Curiously, human protein folders can be more effective than computers at certain aspects of protein structure prediction. Are we using people to solve issues because our technology is not yet developed enough, or is there something else machines, at least the ones we have now, can’t quite grasp? Why was FoldIt more effective than computers? Fortunately for us, when a complex problem requires intuition and insight, we seem to do much better than our artificial counterparts – which are based more on brute calculation. Our brains are geared up to recognise patterns. FoldIt knew this, and made the process accessible, adding a competitive edge to i (layers can develop and try different strategies for the folds). And hell it worked. With so many people happy to spend time playing online games of different kinds, the challenge for anyone wanting to exploit that enormous potential is to make the games themselves attractive. So far they are doing a great job, the precedents of SETI and FoldIt opened the way for a myriad of new games that do science.